Hi there! I wanted to tell you about a new challenge I'm hosting on the Lily Bee blog this month. You see, this whole week the design team gals are showcasing Christmas and Holiday cards so my challenge for all of you is to grab your favorite Lily Bee goodies and CREATE A SHAPED CARD. 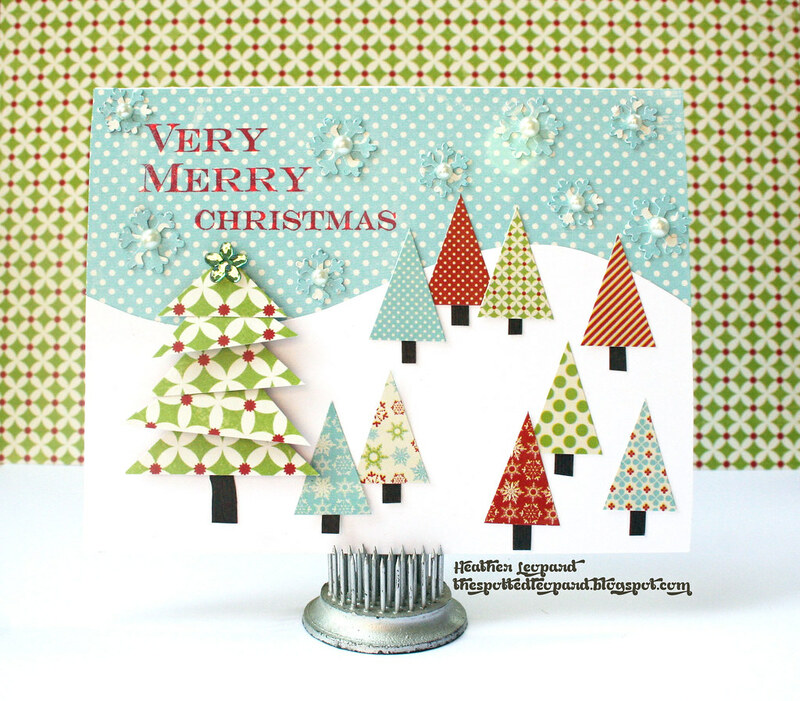 This means no standard size rectangle cards, unless...you create a festive holiday shape as the main embellishment on the card. I created these two cards to hopefully spur a few ideas. First is my shaped card...a snow globe. How-to: I cut the globe portion out of thick transparency on my CAMEO but creating a circle card cutting file. 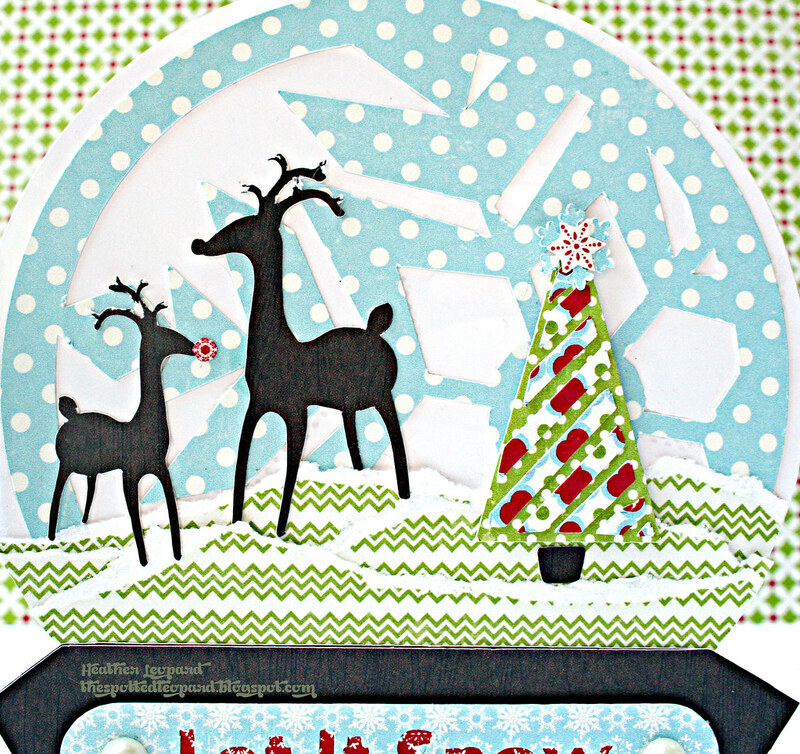 I then cut another circle the same size out of white cardstock and another circle with a snowflake design and affixed them over the back of the card. I then embellished with snow covered meadows, deer and a tree. 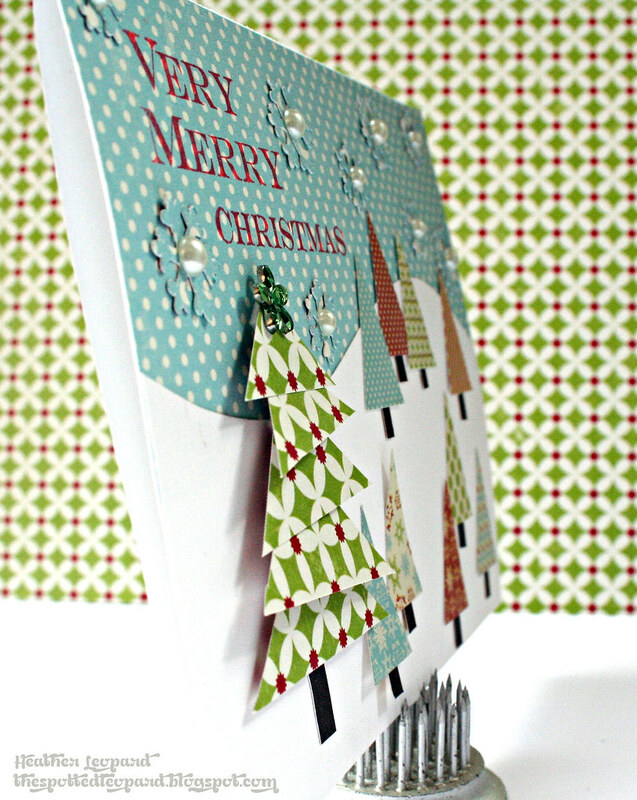 Next is a standard card but I created a Christmas tree out of triangles, and used it as the main focus for the card. I flipped the banner cardstock stickers over to create additional smaller trees. 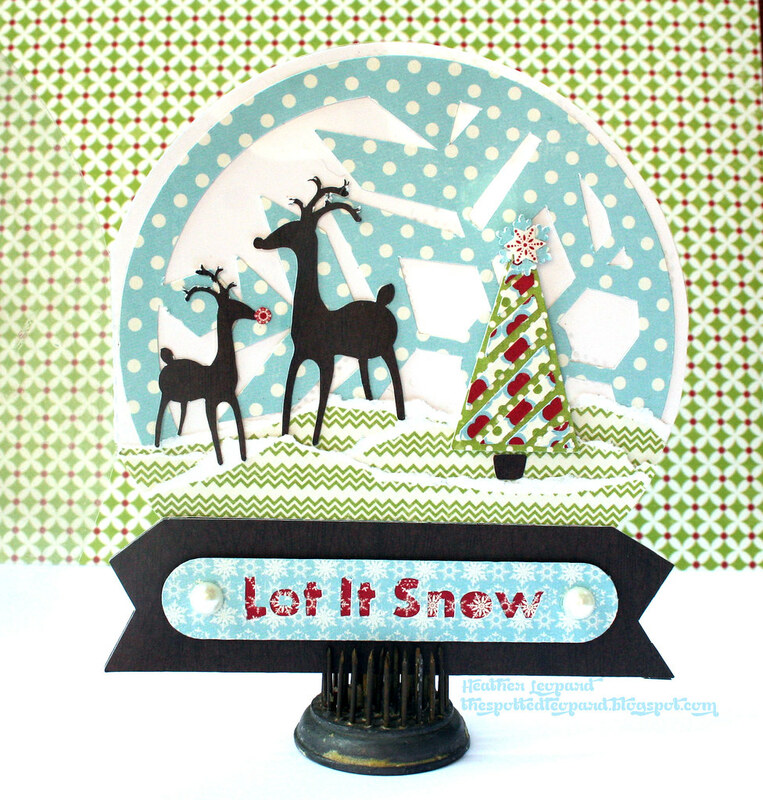 I stamped the sentiment using the stamp set from this collection. Here's a close-up of the tree. I simply cut triangles in cascading sizes and layered them over each other, using pop dots to make them stand out. Now I want to see your take on this Take Shape card challenge! Head over to the Lily Bee blog to get the details on how to play along. You two cards are stunning, i love the colours and the paper are fantastic. I just saw these over on LB blog and WOWWWWWWWWWWWWW! They are GORGEOUS!!!! LOVE that tree card! And the snoglobe is so clever! Beautiful! gorgeous cards both of them. Love the snow globe!!! 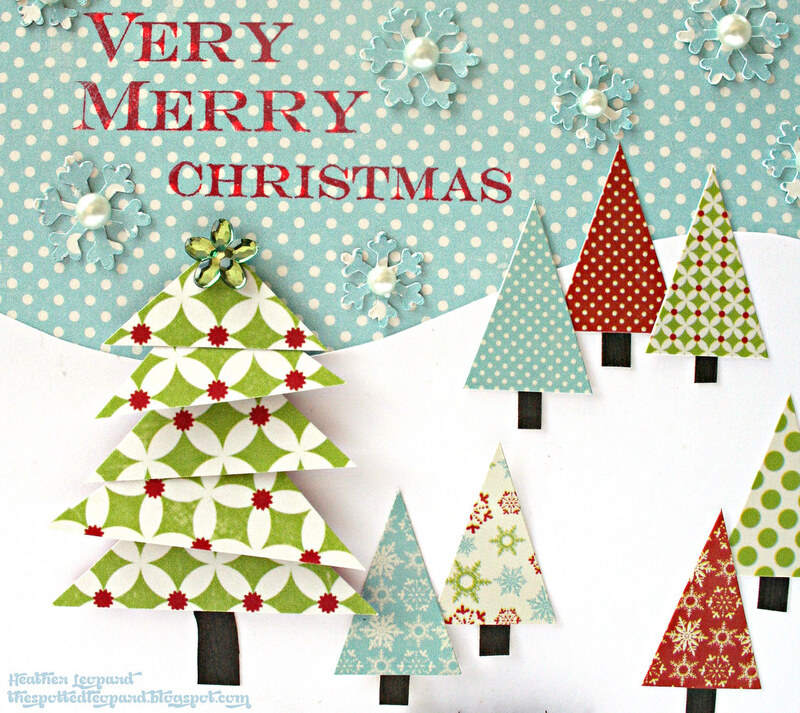 Love the tree card! The snowglobe one is a great idea too. Wondeful cards. I tried to pin the tree cards, but the pin button didn't like me. what GEMS! these cards are SO cute! !